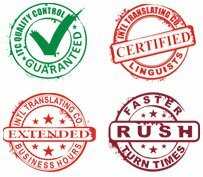 If you have an event that is a multilingual occasion – with a diverse group of attendees speaking different languages – you need interpretation equipment to overcome the language barriers. Delivering the right message to your audience is a crucial component of the overall success of your event. ITC’s interpretation equipment specialists can help you determine if buying or renting equipment is right for you. When is Interpretation Equipment Sales and Rental Used? Language interpretation equipment is used at events where information shared is primarily one-way – presenter to audience. At these events, it’s desired that the audience listen to the presenter, in their own language via an interpreter, while the presenter is speaking. This is known as simultaneous interpretation. It’s common to use equipment to create the best experience for the speaker, interpreters and listeners. Examples of interpretation equipment are a microphone for the speaker, transmitters for the interpreters to speak into, and receivers and headsets for the audience to listen to the interpretation. ITC’s reliable, cost-effective, technologically advanced interpretation equipment has contributed to success in auditoriums, courthouses, conferences, houses of worship, corporate meetings, and training events. ITC has the most up-to-date technology and selection of interpretation equipment, available either for rent or purchase. We’ll help you determine the closed wireless communication technology that best matches the needs of your event – without overselling you. How portable does the equipment need to be? How many rooms or locations will require equipment? How many languages do you need interpreted? How many people in the audience need interpretation? Where will interpreters be physically located in relation to the audience? How many days and how often during the year will this event be held? Our technicians will help you provide the best experience for attendees at your event.